After closing on an all time high of 39,800 points on Monday, Pakistan Stock Exchange (PSX)’s benchmark KSE 100-share index lost 13.71 points or 0.03 per cent during a volatile session on Tuesday thus closing at 39,786.93. “Earlier we thought the market might close above 40,000 as a continuation of yesterday’s momentum but that didn’t happen due to profit taking amid mixed sentiment across the board,” said an analyst report released by Intermarket Securities. According to the report, major pressure came on the back of decline in exploration and production sector as US crude oil prices depreciated overnight – down 3.7 per cent – after briefly breaking below $40 per barrel for the first time since April. The sector, however, managed to recover off its lows in the end with Pakistan Oilfields Limited’s share price advancing 0.26 per cent and Oil and Gas Development Company’s 0.18 per cent, hence closing in green. Cements took a back seat Tuesday where Lucky Cement in particular went down 3.99 per cent and took away 67 points, the highest, from the index. Fertilizers also closed in the red with Engro Corp’s share price depreciating by 1.35 per cent, Engro Fertilizer’s by 0.90 per cent and Fauji Fertilizer Bin Qasim Limited’s share by 1.02 per cent. Among the sectors that contributed towards index gains, sustainability came from pharmaceuticals, glass and multi-utilities, as per analysts. The volume leader during the day was Dewan Cement with 29.7 million shares changing hands and closing at a per share price of Rs 16.94, up Rs 0.81 from the previous day’s closing price. It was followed by Sui Northorn Gas with 20.8 million shares traded, up Rs 1.50 and The Resource Group (TRG) with 13.3 million shares, up Rs 0.19 compared to the closing price of Monday. K-Electric also closed in the green with a per share price of Rs 8.15, up Rs 0.01 (1 paisa) from the previous day’s closing price; it was the fourth highest traded share of the day with 11.9 million shares changing hands. “Technically speaking, while immediate support is at 39,412, we expect the 100-index to eventually test trend line resistance (currently at 40,800),” said Intermarket Securities. In total, 122 million stocks worth Rs 9.9 billion were traded on Tuesday. 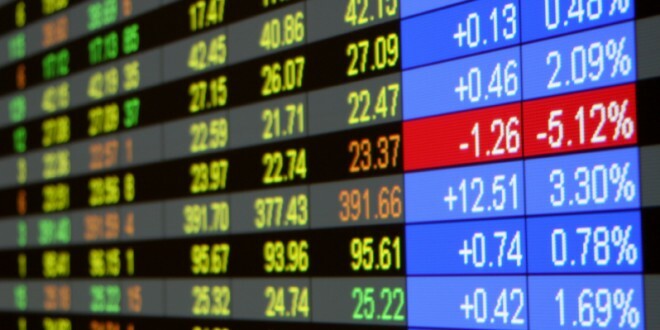 The share price of 177 stocks went up, that of 138 was depreciated and 24 stocks’ prices remained unchanged by the end of the second working day of the week.